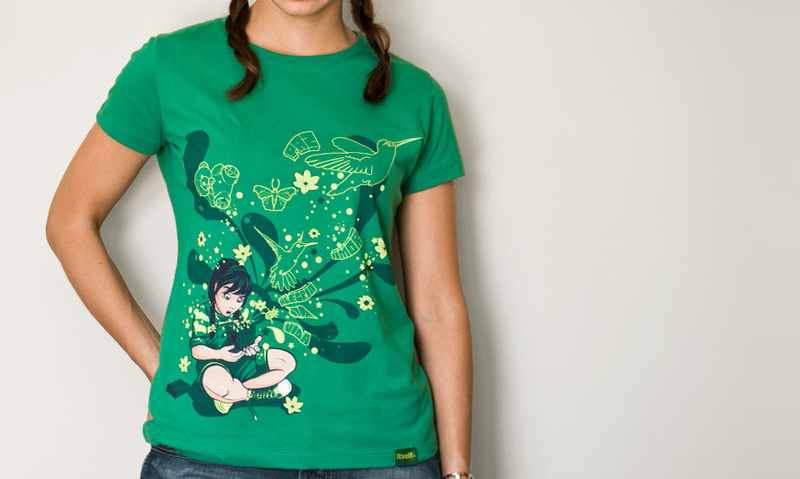 Pandora's Box | Green Women's Short sleeve t-shirt | itself. A design by Draco of Brasil. Very detailed, anime style illustration represents all the good things coming out from Pandora's box. 6 color print on green itself t-shirt. Discharge technique applied for extra softness.